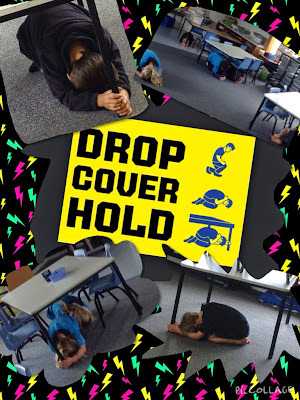 This week we talked about what to do if there is an earthquake. We watched a video that had a cool song on it and showed us what we should do. After that we had a practice. Here are some photos from our earthquake drill and a link to the clip we watched.